The combined cost to renovate Prince of Wales and Wedgewood Park and Rink is listed here as $1,832,300.00 before HST, so over $2 million. 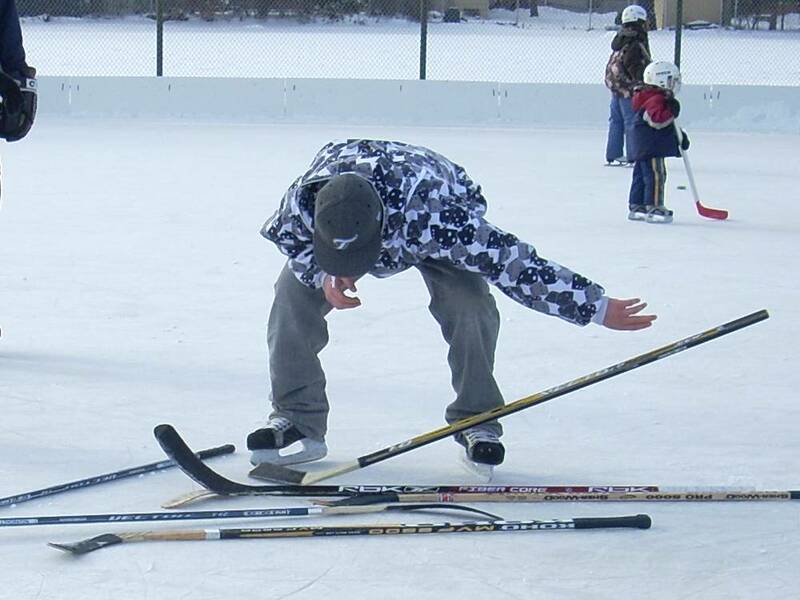 Contract awarded to Duron Ontario Ltd.
City Notice: Parks, Forestry and Recreation will be carrying out state of good repair upgrades to the Artificial Ice Rink. Please note that the facility will be closed during construction. 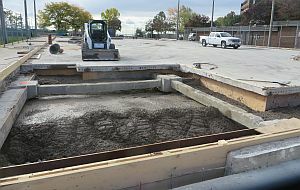 Project will include the replacement of the existing exterior concrete rink slab and refrigeration piping, and various other general repairs and upgrades. 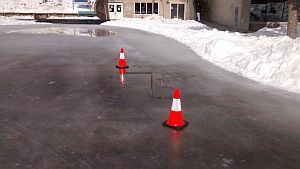 There were two workers at the rink, perhaps waiting for a cement truck to bring more cement to fill in the corner opening. The sign on the fence said they hope to finish in December. 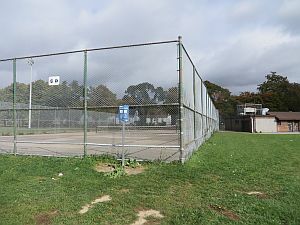 This rink is listed as closed for the entire 2016/2017 skating season. 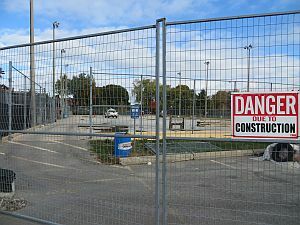 A city capital projects list said this rink would be under construction, but the city website simply lists it as closed for the whole upcoming rink season. 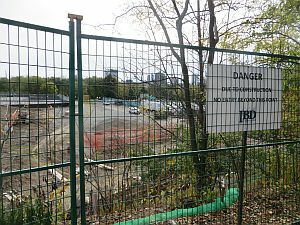 There's no sign of construction, nor any sign on the fence or the building saying the rink will not open this year. The only sign of life is park staff vehicles parked outside, for them to have their lunch break inside the locked building. 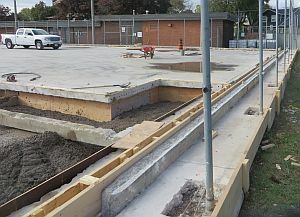 This significant project includes a new skating rink and ice trail, winter lounge, Zamboni station, new playground, new barrier-free accessible ramp, access pathways, and site furniture and lighting improvements. 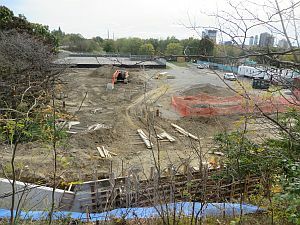 Check back to this webpage periodically for construction progress and updates. 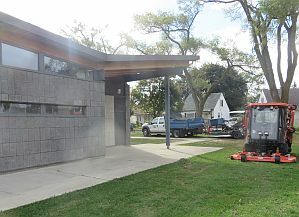 The cost of these changes to Riverdale Park is listed here as $4,960,500 (before HST), contract awarded to Integrated Building and Design Corp.
After being listed as temporarily closed due to mechanical issues since Feb.19,this rink is now listed as closed for the season. 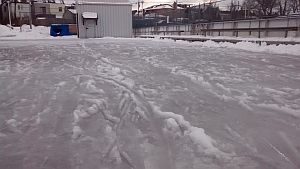 The rink started to fail on Feb.14, recovered, and then the compressors blew again on Feb.19. On Feb.24, it was listed as "closed for the season." 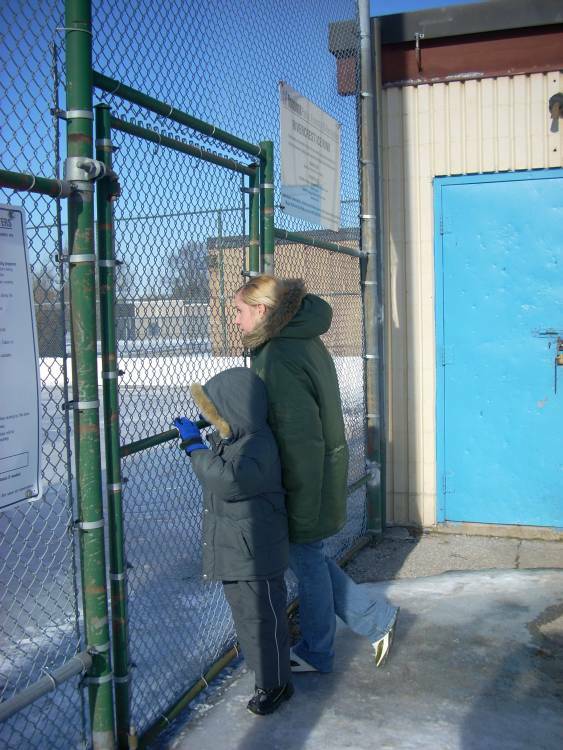 The rink was completely rebuilt in 2006 -- it's too early for it to fail. 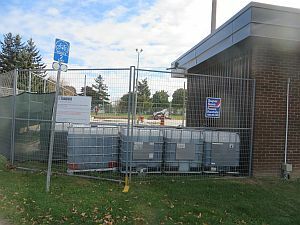 We regret that the new ice rink and skating path will not open as planned during the 2016/2017 skating season due to technical difficulties encountered during construction. The new rink's opening will be delayed until the 2017/2018 season. Our apologies for the inconvenience.